For people that uses word processing and convert their work into Google document, it will be nice for you to indent or position your work in a more attractive way. 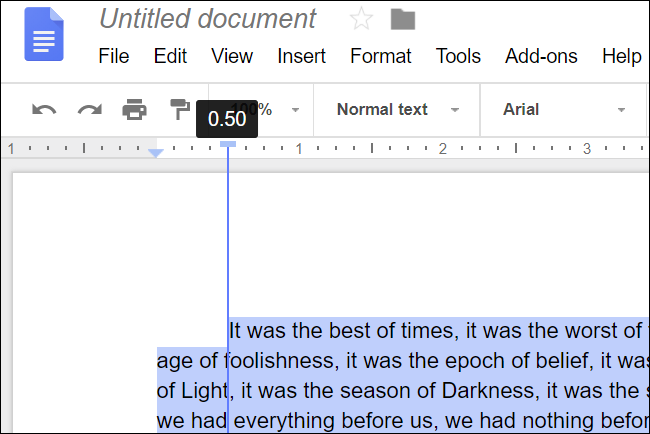 Positioning/Indenting paragraphs in Google document(Docs) requires access to the ruler, which you’ll only find in the full web version. The ruler is not present in the mobile apps so for any reason Google Docs does not make the ruler available in its mobile apps. >>Now take a look at the ruler at the top of your document (if you don’t see the ruler, go to View, then click Show Ruler). >>At the left hand side of the ruler, you will see two light blue markers stacked together: a horizontal bar on top and a downward-facing triangle on the bottom. Once you see the horizontal bar, it indicate the First Line Indent marker which is used to control the indentation of the first line on whatever paragraphs you have selected. The triangle is the Left Indent marker which is used to control the indentation of the entire paragraphs you have selected. In the normal way, both markers are set at the right edge of the pages left margin (so that your text starts right at the edge of the margin), but you can change that. To create the first line indent. >>Drag the First Line Indent marker to the right. It’s a small element that requires a precise bit of clicking, so use your browser’s zoom function if you need to. >>Once you drag the marker to the right, it will shows a vertical line so you can line up your indent, and displays a black box at the top indicating how many inches in you’re indenting. What of if you have gotten the marker In place and your paragraphs will show the new indentation. You can make use the Left Indent marker if you want to indent all the lines of any selected paragraphs from the left margin. >>Drag the Left Indent marker to the right. This time, all the lines of the paragraphs are moved to the right. This kind of indent is handy if you want to include images or side headings out to the side. 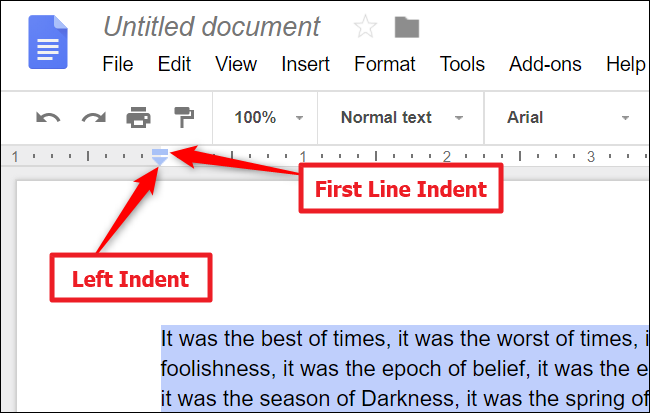 NOTE: These are the two steps to note when trying to indent paragraphs in Google Docs Firstly, drag the Left Indent marker to the right to set the level of indent you want then Secondly, drag the First Line Indent marker back to the left to, in effect, cancel out that line’s indentation. Google Docs also makes “Increase Indent” and “Decrease Indent” buttons available on the toolbar. You’ll see them towards the right end of the toolbar, though if you’re not viewing your browser window full screen, you may have to click a button with three dots to reveal any hidden buttons. Once you are there, you only have two options to take, either you click to bump the full left indent (every line of selected paragraphs) right or left by a half-inch with each button press. It’s a quick way to control a whole paragraphs indent, but the buttons don’t give you near the flexibility as using the markers on the rulers.